When you lost your files in SD card while transferring to computer recently updated to Windows 10, you may wonder how to get back the lost files that you value much. Any Data Recovery Pro is a good choice to help you recover SD card data in Windows 10. Accidently delete files by pressing Shift + Delete buttons. SD card got corrupted or damaged, and thus all files cannot be accessed any more. Format SD card resulting in all files missing. Photos are lost while transferring from digital camera to Windows 10 PC. As an effective SD card data recovery for windows 10, Any Data Recovery Pro is specialized in recovering deleted, lost, damaged or formatted data including photos, videos, audio, pdf, email, and other documents. What is more, this useful PC tool does not only get back lost files from SD card in Windows 10, but also other storage devices like external drive, Mini SD card, MicroSD card, memory stick, USB flash drive, and so on. Download and Install Any Data Recovery to Windows 10. If your PC has still not been updated to Windows 10, this software also works perfectly on Windows 8.1/8/7/XP/Vista. 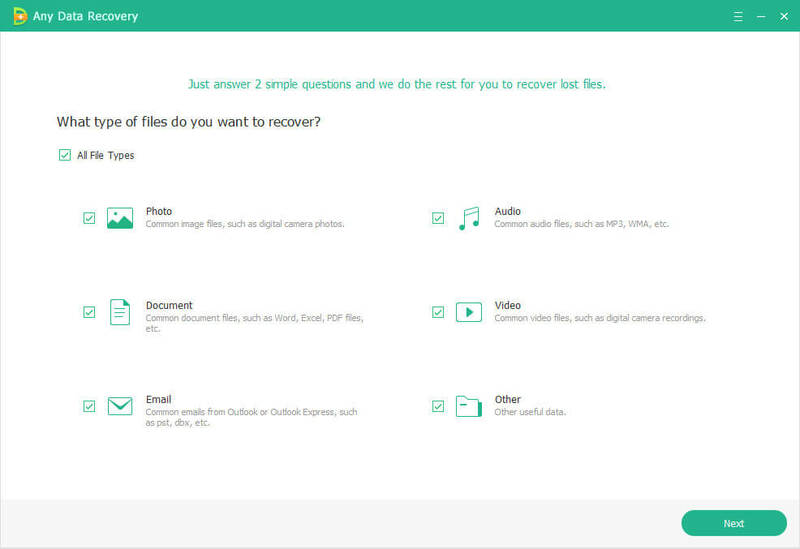 On the main interface, select file types for recovery. If you know exactly what files that you would like to restore from the SD card, uncheck other file types can speed up the scanning largely. Step 2. 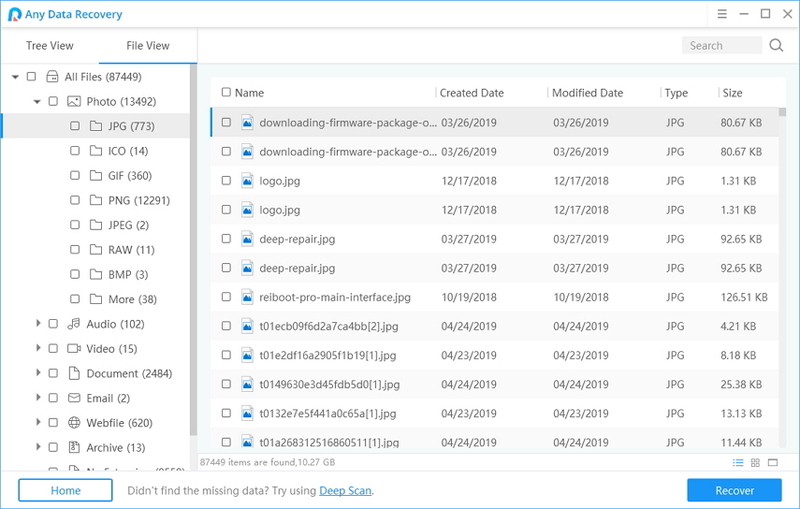 Connect SD card and choose it as the target that will be scanned to search for the lost files. Once you click Scan button, this SD card data recovery tool will start scanning lost files. All lost files were displayed according to folder, store path or created time. You can preview file details before restoring them. Select these that you have lost from the SD card, and click Recover button. In case the recovered files will overwrite the current data, we highly recommend you select a different path from the place your lost files located to restore. Any Data Recovery Pro offers a professional solution to solve your data loss trouble on Windows 10, so you can rescue lost files that you mistakenly deleted or lost from SD card.